We specialize in classic Belgian and contemporary American beer styles that emphasize hop flavor, not hop bitterness. We brew beers we like to drink, and we know you’ll like drinking them too. 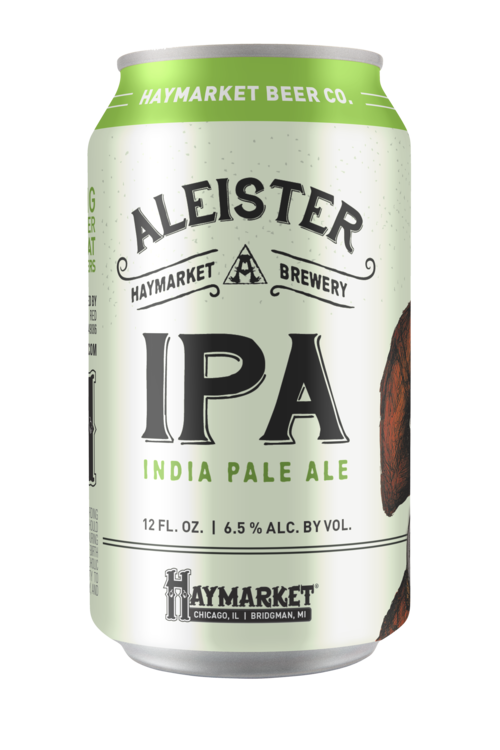 No matter what style of beer you like — whether a crisp refreshing Pilsner, a Trappist-style ale, hoppy pale, Imperial IPA, hoppy Belgian or American Stout — you’ll find something to satisfy you at Haymarket Brewing. Our brewmaster Pete Crowley has won over 75 local, national and international brewing awards — including medals from the World Beer Cup®, the Great American Beer Festival® and the Festival of Wood and Barrel Aged Beer®. Pete’s extensive work in barrel aging put him on the map as a brewer. The national festival he created to showcase the barrel-aged style was the country’s first. Now in its 15th year, it’s still going strong. Even after decades of brewing and scores of medals, Pete never stops innovating. He’s constantly trying out new styles & techniques — working hard to bring the very finest in beer making craft to your glass. Cheers! Speak up! Fight for your right to drink better beer! Start with this crisp, straw colored lager brewed with imported pilsen malt, Saaz hops and authentic cold fermenting lager yeast. Get on the wagon! This straw colored pale ale was brewed with Pilsen malt, Belgian yeast and Amarillo hops then dry-hopped with a touch more for a complex easy drinking experience. Named after Oscar Neebe. Anarchist? Maybe. Yeast salesman? Definitely. Named for Officer Mathias Degan, the first of our boys in blue to be killed in the Haymarket Riot on May 4th, 1886, this hoppy brew is jam packed with loads of Citra hops and a fair whack of alcohol with aromas of mango and grapefruit.